@BIC "The Future in Five"
Join IPG CEO Michael Roth CCNY '67 for a conversation on WHAT'S NEXT with fellow IPG leaders Gail Heimann, President, Weber Shandwick, Matt Neale, CEO, Golin, and Suzanne Powers, Global CSO, McCann Worldgroup.As BIC celebrates its fifth year, it's time to look ahead. Please join IPG Chairman and CEO Michael Roth (CCNY '67) as he leads a discussion on what's next. 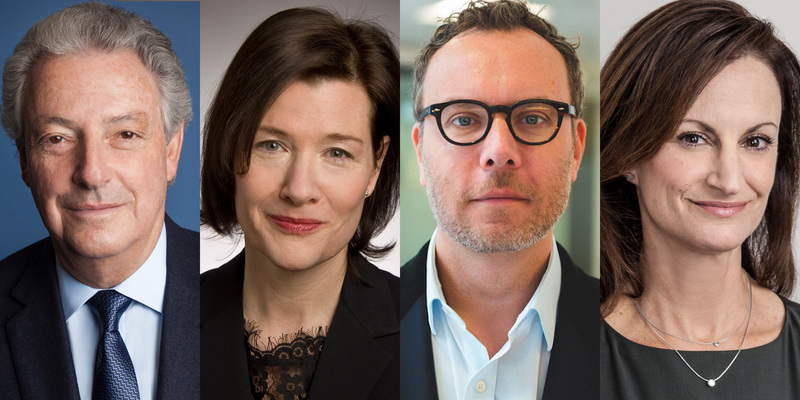 He'll be joined by IPG colleagues Gail Heimann, CEO of Weber Shandwick, Matt Neale, CEO of Golin, and Suzanne Powers, Global CSO of McCann Worldgroup. Together, they'll prognosticate on the near-future of a dynamic, ever-changing comms space. What’s next? Find out @BIC on Thursday, September 27th at City College. This event is FREE, but seating is limited. Please RSVP to secure your spot for this exclusive peek into the "Future in Five."